I remember being really anxious when I would make a purchase with my debit card and the machine would ask if the charge amount was OK. Even as I touched YES, I didn’t always know if that was true. Before I started budgeting, I would often spend money that I wasn’t sure I had. Swiping cards and quick pay apps make it all too easy to spend money without keeping track of transactions. Creating a budget is the only way to ensure you have the money to spend when you need it. The phrase ‘living on a budget’ can lead people to negative thoughts. Some think when you are on a budget you can’t enjoy life anymore. Maybe you have heard your friends say “no” to going out or on vacation because it’s not in their budget. People on a budget are not as sad as you might think. Instead of feeling limited, they are confident in their spending decisions. They have the control of their finances they need to know what activities they can say “yes” to. They know how much work they need to do to get out of debt and what it takes to reach their financial goals. So while these folks may seem restrained by their budgeted lifestyle, they are really living in a peaceful place where they are happening to their money, rather than their money happening to them. Setting up a budget can be as simple or complicated as you want it to be. The most important thing to keep in mind is that you have to find what works for you. This is not a one size fits all activity. There are four common types of budgets and from there you can personalize your budget to integrate seamlessly into your lifestyle. Regardless of what format you choose, your budget should be loaded with your personal preferences so it becomes something you enjoy working on. To make it personal, you should decide on three things: medium, categories and attention. First, pick a medium. Budgets can be done on paper, in Excel, or even in a budgeting App. I’ve chosen an excel spreadsheet, because I live in an area where I can’t rely on internet based apps and I have young children that would probably destroy a paper budget with crayons. Some questions you can ask yourself to help make this decision are how often do I want to be able to access my budget? How far out do I want my budget to go and how easy does it need to be for me to track expenses? Some budgeting APPS will link directly to your bank account so that might be something that appeals to you if you aren’t up for frequent bank reconciliations. The next thing is to decide the level of categories to use. They can be broad and high level, like one line for Utilities. The spending categories can also be detailed. For example, Utilities would be broken down into separate line items for Electricity, Heat and Water. Most budgeting Apps will suggest categories get you started. If you are using a paper or excel format, the best way to determine categories is to get a complete listing of all your fixed, periodic and variable expenses. You might find that expenses related to your car can all be lumped into one line item or you will find it easier to manage if there are separate budget lines for car loan, insurance and maintenance. The third decision to make when setting up a budget is how much attention you are going to give it. Whenever you set a goal, there is a schedule that comes along with it. A new exercise plan may require a daily commitment. Learning a new language or skill might need time set aside each week. 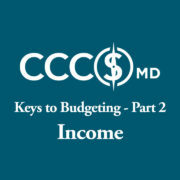 Handling your budget should not be any different than any other goal. Based on your situation, you need to commit to setting aside time at regular intervals to review how you are doing. When my family first started budgeting, we set up weekly meetings. Every Monday evening my husband and I would sit down with our budget in the living room and see how we were doing against our goals. After years of budgeting, we only meet monthly now and consult our budget whenever an unexpected expense arises. The frequency of the attention you give the budget is a personal decision but it might be the most important one. The biggest lesson I learned when creating and working on budgets is to be flexible. Your medium, categories and attention might change over time and that’s ok. Budgeting is personal and should be fluid with life’s changing situations. I saved the best news for last – you don’t have to do this alone! 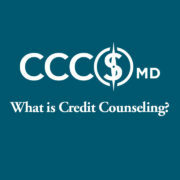 CCCSMD financial advocates are here to help you create a budget that’s perfect for where you are right now. Don’t let one more day go by without taking control of your financial health!